"Education is the kindling of a flame. 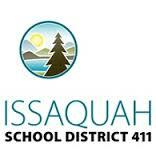 ​Not the filling of a vessel"
Issaquah School District Disclaimer: The Issaquah School District reserves the right to remove any user-generated content it deems inappropriate or not relevant to the topic of the forum. This includes language that has obscene language or sexual content, threatens or defames any person or organization, violates the legal ownership interest of another party, supports or opposes political candidates or ballot propositions, promotes illegal activity, promotes commercial services or products, or is not topically related to the particular posting, or contains contents that promote, foster, or perpetuate discrimination on the basis of race, creed, color, age, religion, gender, marital status, status with regard to public assistance, national origin, physical or mental disability, or sexual orientation. The District will not, however, remove otherwise permissible comments based on viewpoint. Any content posted to this site may be subject to public disclosure under the Washington State Public Records Act, ch. 42.56 RCW.